Parker 1920s Juniorette fountain pen, the Lady Duofold version with the clip. 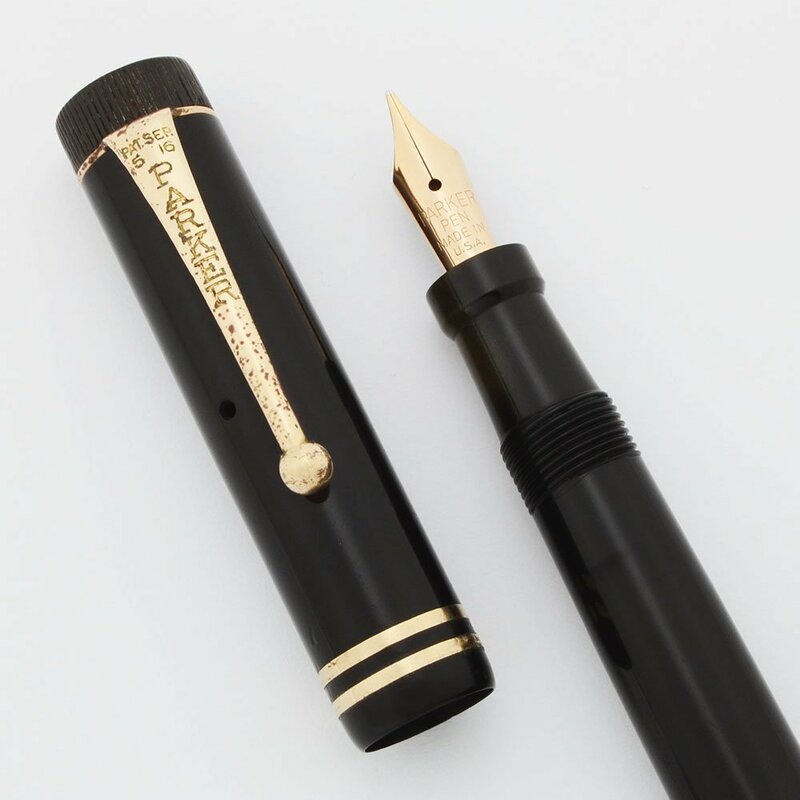 Black pen with a double gold filled cap band. 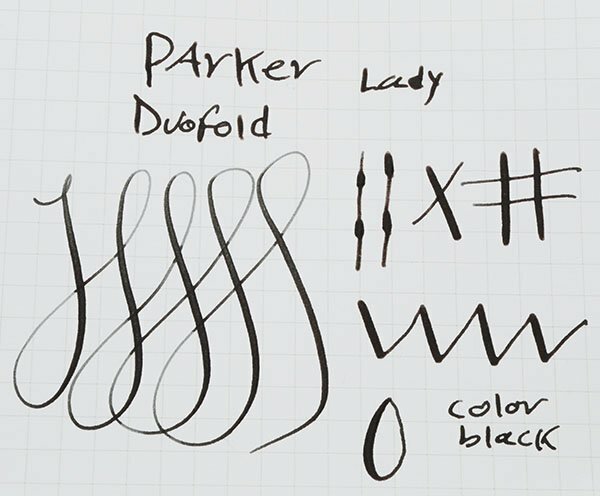 Flexible Parker Duofold nib. Very nice condition. Fully restored and working well. Filling System Button filler. The system has been fully restored and tested in house. Color Black. It has two cap bands and a clip. The trim is gold filled. Mixture of permanite (plastic) and hard rubber, with the clip screw, blin cap and section being made of hard rubber. Nib Flexible 14k nib. Not full flex, but excellent for every day writing, with a line variation between medium-fine and broad. See writing sample below. Condition Very nice condition. Although the pen has a nice shine, the barrel has scratching, particularly horizontal scratching under the capping area and down toward the end of the barrel. The very end of the barrel has some deep scratches that could be bite marks. About 3/4 of the section is discolored and much lighter than the dark black on the rest of the pen. The cap has scratch marks and its clip screw has a few small chips. The clip and trim have significant plating wear. The imprints are clear. There are no cracks or personalization.